As North America's Safest Fleet, Bison Transport places the highest priority on safety. A Driver’s daily duties may seem routine, but improper techniques when performing these duties can easily lead to injuries. This is why we created a series of Injury Prevention videos that demonstrate proper safety techniques and requirements that would apply to any professional Driver. The first video begins with stretching, which reduces injury by preparing a Driver’s muscles for work activities. Proper stretching techniques inside and outside the tractor are demonstrated. Stretching reduces the risk of work-related injuries. Watch now! 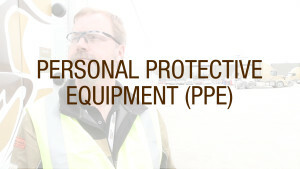 The second video in our series discusses personal protective equipment (PPE). Proper safety equipment helps prevent injury and is required at our terminals as well as at many customer locations. Watch now! In the third video, the proper technique of cranking the landing gear is demonstrated. 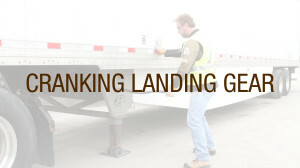 Although a routine task for a Driver, cranking the landing gear improperly can result in severe injury. Watch now! 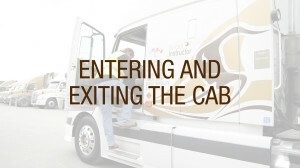 The fourth video discusses the importance of entering and exiting the cab. The correct way of doing this everyday task is often overlooked. Injuries while entering or exiting can be avoided easily with proper technique. Watch now! 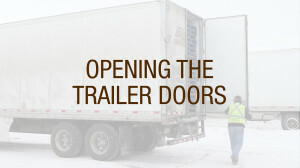 In the fifth video, the importance of opening trailer doors carefully is examined. Drivers should never rush to open trailer doors because it’s possible the freight has shifted during travel. Opening trailer doors can be very dangerous. Watch now! 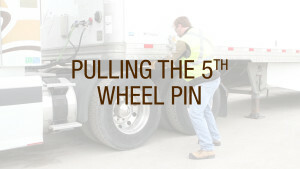 The sixth video demonstrates the proper way to pull the fifth wheel pin. The tools required to perform this important and potentially dangerous task are also discussed. Performing this task improperly can result in injury. Watch now! 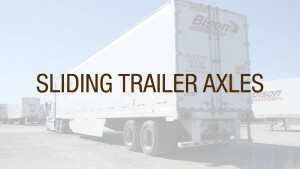 In the seventh video, the process of sliding the trailer axles is demonstrated. This is another common task that must be performed carefully. Sliding axles cannot be rushed and requires concentration and patience. Watch now! Bison Transport is happy to share these videos with everyone in the interest of improving safety and reducing injury. We encourage all who view this blog or any of the videos to share them with their friends and family either directly or on Social Media. What other tips do you suggest to prevent injuries in trucking? Please comment below.